Woman who helped save unusual sculptural treasures at Gilgal Garden dies at age 93. Friends remember Hortense Hogan Child Smith as a "magical storyteller," and one of her best historical yarns remains on view in the rock at Salt Lake City's Gilgal Sculpture Garden. The longtime Salt Lake City resident, a mother of two, died at home on Thursday, May 17. In remembering her, friends and colleagues credited her as a key figure in saving and restoring the stone sculptures tucked away in one of the capitol city's quirkiest corners, at 749 East 500 South, now a city park. Hortense Hogan was born and raised on a family farm in Thatcher, Idaho, and moved to Logan to attend Utah State University, then earned a degree from Salt Lake City's LDS Business College. In 1939, Hortense married Robert Child, the son of Thomas Child, who owned the property and conceived of the Gilgal sculptures to tell an alternate history of his Mormon faith. The couple lived on the property, where she developed an intimate knowledge of its history. "Hortense was a truly astonishing woman," said Catherine King, a former board member of Friends of Gilgal Garden, of which Hortense Smith was a founding member. "She was a magical storyteller." One story she told was about her father-in-law inviting visitors to tour Gilgal. "Quite often he had a portable organ, which he had moved from sculpture to sculpture to provide music as background to the stories he'd tell about the sculptures," King recalled Hortense Child saying. Hortense Child served as a Navy WAVE from 1943 to 1945 in Washington, D.C., where she learned the savvy sophistication that she later drew upon to promote the garden. "She had so many levels to her … one of those capable people," King said. 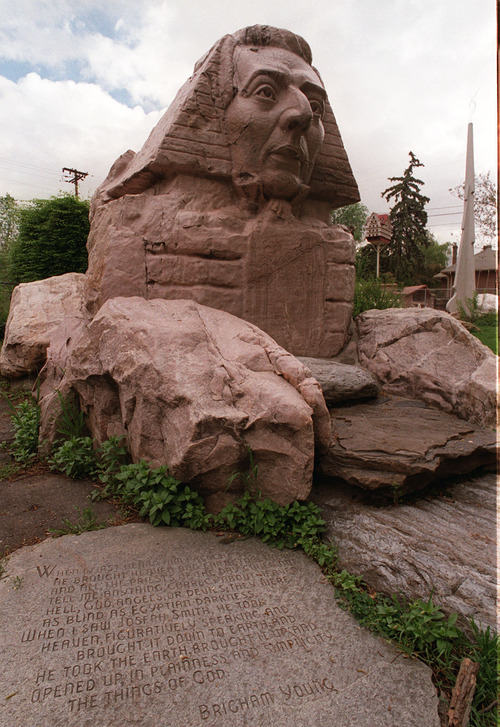 Child raised money to restore Gilgal through garden tours, gathering people who would help with the cause, said sculptor Frank McIntire, a Utah artist and former art critic of The Salt Lake Tribune. 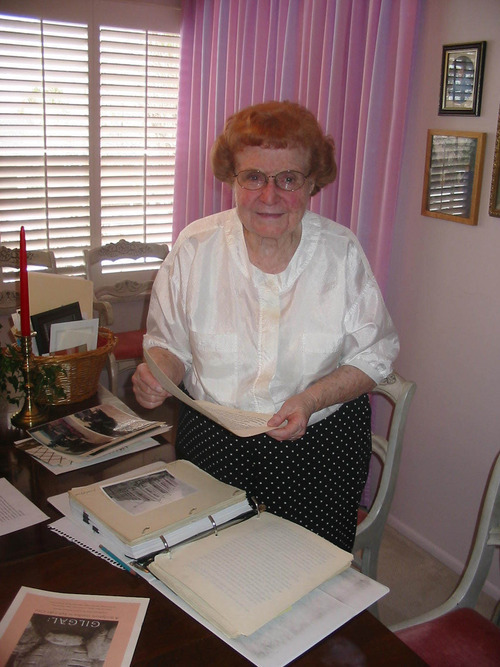 "Her enthusiasm and historical knowledge of Gilgal was remarkable," he said, recalling how Hortense Child said the purpose of Gilgal was to tell the Mormon story in a unique fashion. After Robert Child died, Hortense married Mormon patriarch Eldred G. Smith in 1977. King recalls Hortense Child Smith recounting how she and her husband would drive to meetings to let church members see the clothes Smith's ancestor, Hyrum Smith, was wearing when he was killed, along with Church of Jesus Christ of Latter-day Saints founder Joseph Smith. Hortense thought it was important for people to see and touch the clothing  bullet holes and all. "She was a great friend," McIntire said. "I enjoyed her enthusiasm." Hortense is survived by her husband, Eldred. A viewing will be held from 11 a.m. to 1 p.m. Wednesday, May 23 at the Monument Park Stake Center, 1320 S. Wasatch Drive, Salt Lake City. The funeral will follow at 1 p.m. In lieu of flowers, donations are welcome to Gilgal Garden at http://www.gilgalgarden.org.